Wouldn’t it be fantastic if you bought a new pipe (no matter if it cost $80 or $800) and it smoked really great at the first bowl? This is just a brief note to document my experience with Peterson’s the new bowl coating. It is also an invitation to hear from other Peterson users who’ve recently purchased and are smoking Petes with this new coating. As of this writing, I’ve only seen it on the 406 Large Prince, the Aran Rusticated and the Rosslare Rusticated lines, but there may be others. You can distinguish it from previous treatments because it’s quite glossy and very slightly tacky to the touch. I wrote Peterson to ask about it and they responded that they’ve recently begun using what they believe is a coating superior to the previous paint-on vegetable-base product. To aid in the binding process, the company has for the first time in its history lightly sanded the inside of the chamber, removing the classic set of pin points caused by the chuck marks. Never fear, purists, as these will remain in the high-grade natural finish lines. I hate breaking in new pipes and always have, which is the only reason I have unsmoked pipes laying around. I hate break-ins for two reasons: first, they’re just plain stressful, since there’s always the danger that I’ll burn out the pipe, even with a bowl coating (I’ve been called “the Human Torch”). Then second, there’s the off-putting taste of the bowl coating, and I’m not actually talking about Peterson’s last bowl coating, which was better than most. Many artisan-factory pipe makers as well as artisan makers all over the world will tell you quite openly they use medical-quality charcoal powder combined with water glass (potassium silicate) and a bit of water. This, they say, makes a good point-of-sale appearance as well as providing insurance for both maker and smoker that it won’t burn out before its broken in. Well, I don’t mind so much that it looks like gray 220 grit sandpaper, only that it tastes like it. As I said, water glass and charcoal haven’t ever been used on Peterson chambers, but while the vegetable-based product they used was better, it wasn’t as good as bare wood. Especially if any stain was lurking beneath it, as could sometimes be the case in many Dublin Era pipes, even those that weren’t dip-stained (a practice used on lower and entry-grade lines which ceased around the year 2000). So, what about the new coating? 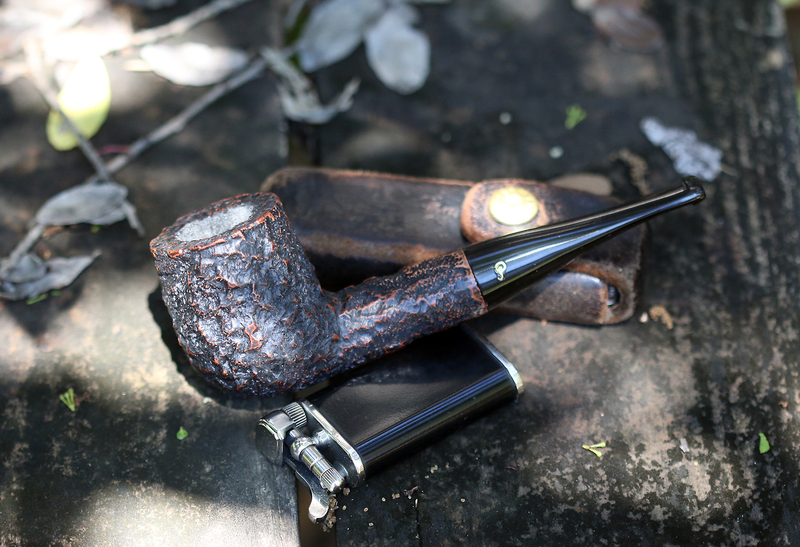 I don’t know what ingredients Peterson has used, but my first smoke in the Aran Rusticated was the best I’ve had in any new pipe (not just Peterson, but from other factories and artisans), at least apart from the unfinished or virgin chamber of the Rogha System last May. Peterson’s new coating doesn’t seem flavorless to me, but mildly sweet. I smoked Gawith FVF first time out, and beyond the normal sweetness of the virginias there was something else, quite pleasant, that kept me smoking the entire bowl. The pipe also seemed to stay cooler than is normal in first smokes for me. And after the smoke, as you can see by the photo above, the coating seemed to curl and carbonize into the ashes, giving the chamber the appearance of at least five or ten bowls’ of smoking and “ashing” (coating the bowl with the ashes of the tobacco just smoked). The second smoke (seen below) had me thinking I was smoking a seasoned pipe, not one I’d just smoked twice. Usually I’m nervous through the first dozen smokes, smoking it cautiously, letting the bowl cool every 5-10 minutes and then ritually ashing it after smoking. The sweet sensation of the first bowl was gone in the second smoke, but the inside of the bowl, as you can see in the photo above, seemed to have progressed much faster than a water glass coating and without the occasional hints of wood burning that an unfinished chamber brings. A lot of real and virtual ink has been spilled over bowl coatings pro and con, going back to the earliest days of briar pipes. 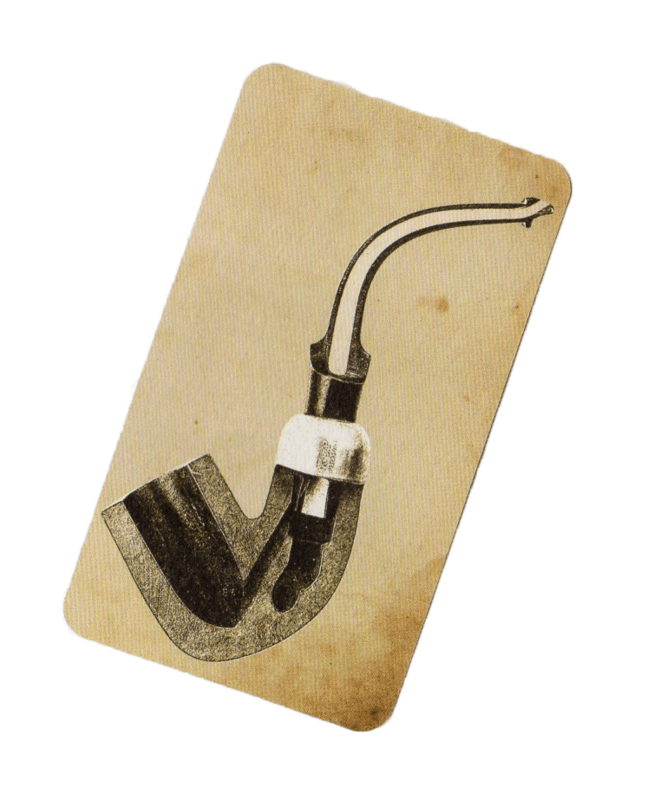 In fact, in the earliest Peterson ephemera at the turn of the 20th century, they (like other factories) recommended soaking the bowl in water before smoking it the first time! My pipe-smoking mentor Beth Kanaley at Ted’s Pipe Shoppe in Tulsa used to advocate smearing honey in the bowl—a practice many (including myself) think is great for getting your tongue fried and maybe hastening a burnout, if nothing else. Many Italians prefer unfinished chambers. German and American artisans as well as companies like Briar Works like water glass mixtures. And loads of smokers will go to the trouble of removing the factory coating, which carries with it the danger of damaging the finish of the outside of the pipe, and recoating it with their own secret sauce or just going buck nekkid. Everyone’s got an opinion, and whatever works for you works, as far as I’m concerned. Like I said, if you or anyone you know has tried a Peterson with the new bowl coating, drop me a line. When I receive enough comments, I’ll post everyone’s experience. Good morning. Back in the 80ties when Peterson began to sell well here the Danish agent asked me what I thought about coating as Petersons on our market were not coated and Danes were used to coated pipes. 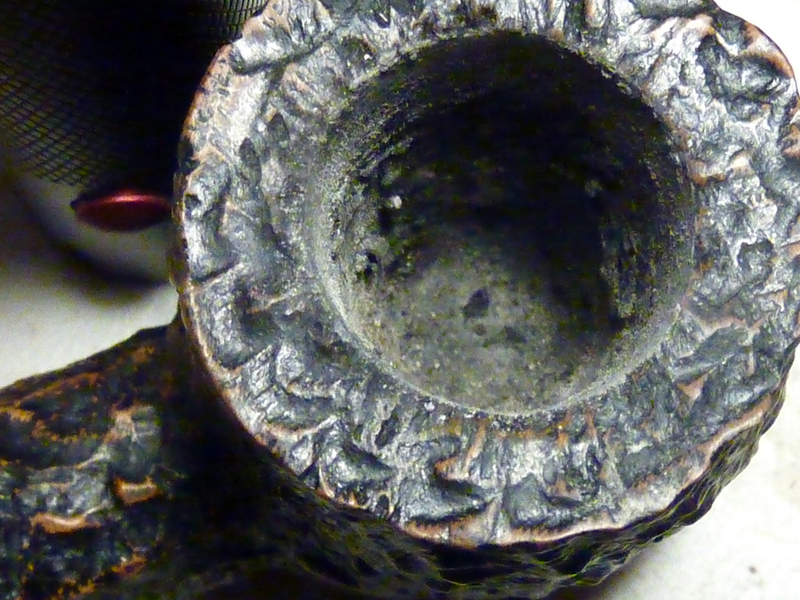 A man would say: ” I got a new pipe” and the other would say ” Is it broken in “!…………. I just smoke and do not care. photos today and she will be away tomorrow and Wednesday . gave me the protype for 1995 and forbid me to smoke it in public as I have a big unfilled flaw. But nice pipe it is. I just ordered a Kerry 120. Now I kind of wish I had ordered a new Aran. I’m curious, how did you form a connection with Ted’s in Tulsa? Hey good sir. I grew up in Tulsa and Ted’s in Utica Square was a very magic place for me beginning in 11th grade. Beth was amazing and I infuriated her on a monthly basis with all the stupid mistakes I’d make in smoking and buying pipes. I wrote about her in THE PIPE COLLECTOR a few years back, actually. What a lady. She deserved a piece in P&T and I wish the magazine had survived for me to write it! Mark, are you breaking in with full bowls or the partial bowl method? My new Kerry 120 came yesterday but does not have the new coating. 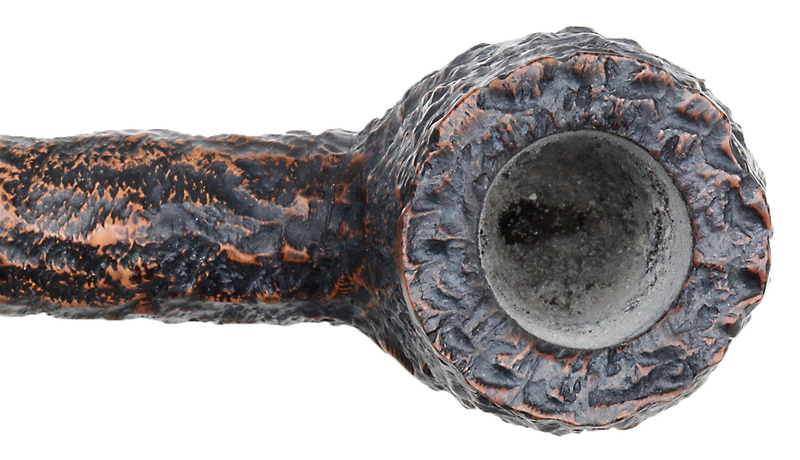 As far as I know, only the 406 Large Prince and the new rusticated lines have the new bowl coating at this time. As for breaking in a pipe, there are many schools of thought. I’ve burned out a number of pipes in my life and have come to a very safe method: 1. Only break in your new pipe when you can actually pay attention to it. Sky-diving, motor cycle riding and any other activity that leads you to forget what you’re doing can end in disaster for your pipe. 2. If you can smoke 4/5ths of a bowl in one sitting, then do it. If you only routinely smoke ½ or a ¼ a bowl, then do that. The thing is to calmly and completely smoke to the bottom of the bowl. 3. While smoking, be aware of the heat of the bowl and any wood-burning taste (you’ll know it when it happens, believe me). Every 5-10 minutes, or when the bowl gets hot to the touch of your thumb pad, then let it cool off for 2-5 minutes, then proceed. 4. After smoking the entire bowl, empty the ashes into your hand, take a look to see that all is right in the chamber (no potential burn-outs), run a pipe cleaner through the air hole, then dump the ashes back in the bowl and shake. Dump out the remaining ashes. This is known as “ashing” and I believe it hastens the break-in period as well as protects your chamber. 5. If you’re smoking a System, remember to swab the reservoir before dumping the ash and “ashing” the chamber. 6. If you see a soft spot or potential burn-out or cave-in, then proceed to applying pipe-mud. You will save the pipe although the break-in will take a bit longer. If you don’t know how to make and use pipe-mud, there are several guides on the internet. Mostly you just need the ash from a good cigar. I just picked up two new Petersons with the new bowl coating and both initial bowls were great with no foul taste! Definitely pleased with this. 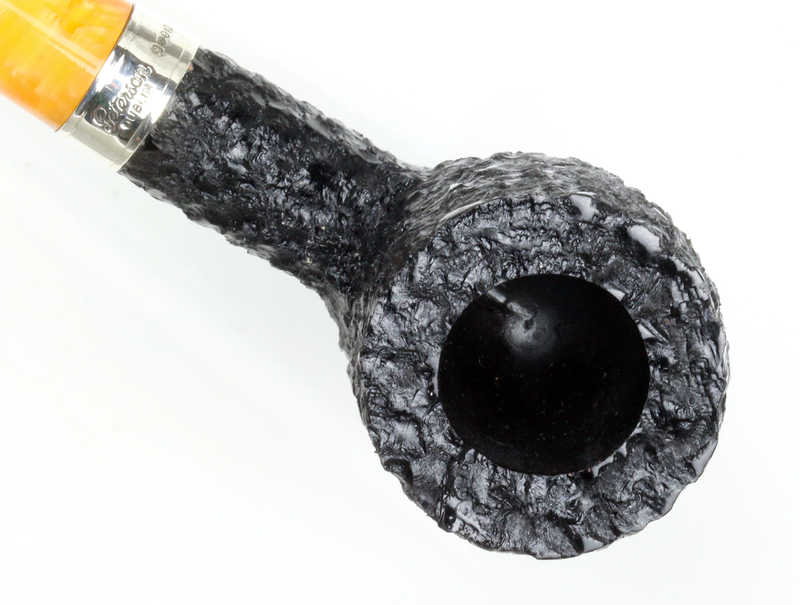 There is also no stain in either shank, which was surprising, especially with the Kildare sandblasted (a 106). After reading your review of the Aran, I think I might have to get one. That’s all good to hear, Michael, because my own experience isn’t enough to make any generalizations about, but if everyone notices it and talks about it, then I think we have some consensus that this new coating is in fact something very cool. I recently acquired an Aran smooth (unmounted) 999 and an Arklow D-9 (wonderful shape and light as a feather). Right out of the sleeve, they both smoke like well-seasoned pipes. I thought it was the tobacco, because I bought a sample from a local shop (which, they insist is their own special blend of black & gold cavendish–maybe it is, maybe it isn’t but I like it) when I was travelling, and smoked that to break-in my new 2019 St Patrick’s Day 305. My experience with the SPD pipe was so pleasantly surprising that I made it a point to save the tobacco for future new pipes, since I don’t see myself going back there anytime soon. And that’s just what I did with the Aran and Arklow. Now, I read your blog and I learn that it’s a new bowl coating. Wonderful. So yes, I’ve now tried 3 Petersons with the new coating, and am most pleased with the result. Very much so. And while I’m writing anyway, I’ll also mention how happy I am with that Arklow red D-9 pipe. The subtle bend is just right for my preferences. The chamber is exactly what I like. And between the light weight and the balance, I feel like I can keep it clenched all day. So thanks to Peterson for bringing back this previously discontinued shape. Here’s to seeing more D-9s in the future! I’m glad to hear it, David, and like you I really like Arklow pipes–I think they’re the finest collaboration Conor Palmer did with Sykes Wilford before leaving the company. I have the XL339 in brown and wish I had one in red! Joe, I think the technique of the smoker has a great deal to do with the initial break-in, and I say this as one of the Burnout Kings of all time. It took me years of concentration, effort and research to master the break-in period. Glad to hear you had no problems with the Fermoy. The only complaint about the Fermoy is the drilling being too high so it doesn’t pass a pipe cleaner. I’m guessing that is by design though. Joe, honestly that would have to do with the shape. Peterson’s bent shapes that are found in both System and Classic Range were originally meant to have P-Lips, which meant they would function as “navy mount” (traditional looking tenon and mortise) Systems with a P-Lip. I have several of these and they are fantastic smokers. But they won’t and were never designed to pass the dreaded pipe cleaner test. When cool, they do need swabbing out as there will be light moisture, because even without the reservoir there is a wider base to the mortise. How to drill these shapes for fishtails, which are found in several of the shape groups, to pass the test is beyond my ken, but it’s something I imagine the new owners will eventually consider. For my part, I think the easier path would be to adhere to the strict division between Army lines (going all the way back to the P-Lip Patents of 1906) and System lines, so that the latter shapes would always be issued as sub-Systems. For a deeper analysis of the question, see the book. It’s there. Very interesting. Peterson must have been reading recent posts on the PipesMagazine forum on the subject. I shared this update to the forum. Thanks, Al. The first order of business for Laudisi-Era Peterson is engineering and quality pipe manufacture. I think we’re beginning to see the first fruits. This is great to hear! When was the new coating introduced? (I finally found a deluxe b42, which I assume is recent given how rare they are, and it’s in the mail). Any thoughts on improving the varnish? I have a couple of sad bubbly examples from 2016-2018 if interested. The coating just appeared on the market, first in the 406 prince, then in the last few weeks on the Aran Rusticated and Rosslare Rusticated, which latter just went on the US market today. Sounds like your “bubbly varnish” problem might indicate time to refinish the bowl. I’d suggest looking at Steve Laug’s Reborn Pipes blog and Charles Lemon’s Dad’s Pipes blog for intel on a D-I-Y. Also congrats on the B42 De Luxe. Yes, they’re quite rare and don’t appear often! Congrats on your B42 De Luxe. I have been looking after one, but there is no one around here. The six De luxe I got from England in Dec, Jan & April are without coating. I got a Tyrone 106 smooth years back with much varnish. It bubbled a little at the first smokes but it look fine now. The agent said he would tell them in Dublin – but I only take it as an experience. The pipe smokes fine. Oh yeah, the pipes work great. I agree, the varnish bubbling (rim only) was just a “huh?” moment. The bubbly varnish showed up after the first smoke, sadly. I’ll check out the blogs, thanks for the pointers!